At Makers Empire, we regularly test 3D printers for their suitability to elementary, primary and middle school environments. We only suggest (and sell) 3D printers that we genuinely think are the best options for teachers. 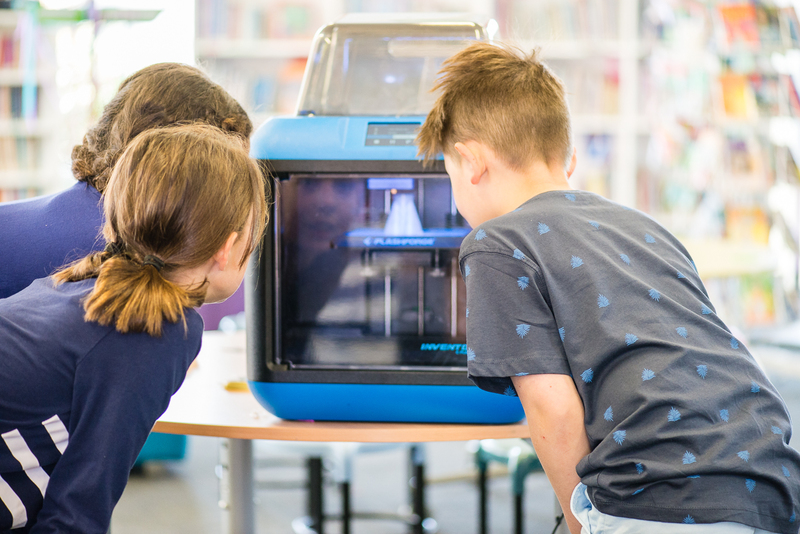 You can see which printers we recommend at our Best 3D Printers for Schools (America) and Best 3D Printers for Schools (Australia). Schools who purchase 3D printers from Makers Empire enjoy access to the expertise and ongoing support provided by our 3D printing hardware expert, Luke. Luke eats, lives and breathes 3D printing so he can help with any kind of technical problem. Equally importantly, Luke genuinely understands that most people are not 3D printing experts, and is great at explaining things in a clear, patient and helpful way. How do I preheat the Inventor IIS? How do I load filament into the Inventor IIS? How do I remove filament from the Inventor IIS? How do I remove a print from the Inventor IIS? How do I use the Inventor IIS with ethernet? How do I clear a cog on the Inventor IIS? How do I adjust the calibration of the extruder on the Inventor IIS? We hope you find these articles useful. Let us know if you have any requests for other help articles via info@makersempire.com. Makers Empire’s complete solutions for schools contain everything you need to teach Design Thinking, STEM and 21st-century learning skills with 3D design and 3D printing. Our pioneering 3D solutions for schools include 3D modelling software, over 150 lesson plans aligned with international standards and professional development. With Makers Empire, engaged students learn how to solve real-world problems and make their world better.